MACOMB –State Representative Norine Hammond (R-Macomb) joined with public officials statewide on Tuesday in getting the word out that license plate renewal reminders will no longer be sent to Illinois motorists due to cost-savings measures taken due to the lack of a state budget for the new fiscal year. Illinois Secretary of State Jesse White announced on Monday that his office will no longer send out vehicle registration renewal reminder notices because of the budget impasse. As a courtesy, notices are sent to vehicles owners several weeks before their vehicle registration is due, however this reminder practice will be discontinued immediately as a cost-saving measure. Vehicle owners may still get notices by e-mail if they register online at cyberdriveillinois.com and all vehicle owners are still able to renew their registration by visiting a nearby driver’s license facility. “Many vehicle owners have grown accustomed to receiving these reminders to renew their registration. Because of this budget crisis, I encourage everyone to set a reminder on their personal calendars to renew their registration before it’s due,” said Rep. Hammond on Tuesday. XXHammond encouraged residents of the 93rd district to contact her with questions or concerns on this or any other state issue. Hammond’s Macomb district office can be contacted at (309) 836-2707 and she can be reached via e-mail at rephammond@macomb.com. 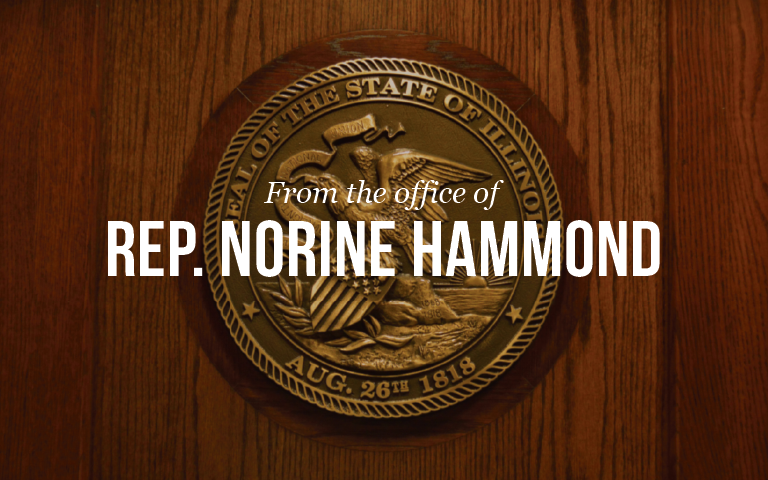 Constituents can also visit her legislative website at www.norinehammond.org to sign up for her electronic newsletter.